Springfield car accident attorneys at Rosenfeld Injury Lawyers LLC concentrate our legal assistance in representing individuals and families in serious injury and wrongful death matters. Our law office handles Springfield auto accident cases on a contingency fee basis, meaning that we only charge a fee when there is a recovery for you. If you are in need of an aggressive car accident law firm, contact our Springfield car accident injury lawyers for a free case review today. 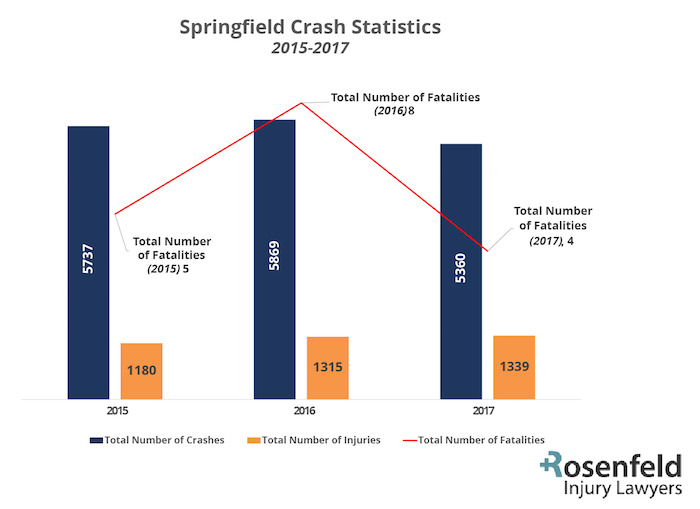 Even though Springfield, Illinois is a small, quiet community, the Capitol City still has a high incident rate of road traffic accidents with injuries and fatalities. In 2013, eleven individuals lost their lives in fatal accidents within the city limits. Four of those victims died as a result of driving under the influence (DUI), and two deaths occurred from distracted driving. This number of deaths was only slightly lower than the previous year when twelve individuals died in fatal accidents – seven of those involving drunk driving. Driving distracted is one of the leading causes of vehicle accidents in Illinois. A distraction while driving includes any activity that diverts the driver’s attention away from safely operating the vehicle. Many inattentive motorists perform various other activities like talking on a mobile phone, texting, drinking and eating or using navigational system technology. The distraction can occur if the driver takes their eyes off the road, takes their hands off the wheel or redirects their thinking away from driving. In recent years, many fatal accidents have occurred on Interstates 55 and 72 in the Springfield area due to distracted driving. Statistics released by the Illinois Department of Transportation (IDOT) reveal that 910 traffic accident-related fatalities occurred in 2014. Many of these crashes involved some form of distracted behavior brought on by fatigue, inattention (wandering thoughts) or performing an activity not directly related to operating the vehicle. In July 2014, two residents of McLean County lost their lives in a single-vehicle motorcycle accident occurring at milepost 95 along Interstate 55 in Springfield during mid-afternoon. Accident scene investigators determined that the cause of the crash involved a motorcyclist's failure to slow down in enough time when approaching slow-moving traffic. The male Normal motorcycle rider was pronounced dead at the accident scene, and EMT responders transported the female Colfax passenger to Springfield Memorial Medical Center where she later succumbed to her injuries. Just four months later in November 2014, three teenagers died from severe injuries acquired in a deadly car crash just south of Springfield near Raymond. An investigative report released by the Illinois State Police revealed that the female driver became distracted and overcorrected her vehicle when the tires on the right side left the roadway. Her overcorrecting actions propelled her vehicle directly into the path of an approaching minivan. A female passenger in the back seat died at the accident scene, and the front seat male passenger died later at a Litchfield hospital. The driver succumbed to her injuries at a Springfield hospital the following week. New Illinois laws went into effect on the first day of January 2014 prohibiting motorists from driving any vehicle while using hand-held smartphones, cell phones, and any other similar electronic communication device. The current laws prohibit all drivers from sending, receiving or reading text messages or emails. Laws prohibit motorists under the age of 19 from using their wireless phone while operating any vehicle whether it is hands-free or not. Additionally, mobile phones cannot be used in regulated school speed zones or while in road maintenance zones and roadway construction sites. Cell phone use is only allowed during emergency situations when a vehicle is stranded on the road or stopped because by obstructed traffic. However, the vehicle must be stopped completely with the transmission set in the park or neutral position. Many drivers choosing to ignore driver distraction laws often get away with their decision without any consequences. In fact, just driving distracted has become an integral part of everyday living. Some motorists believe their distracted driving or lack of awareness behind the wheel is not dangerous and think an accident will never happen to them. Unfortunately, statistics prove otherwise. When innocent motorists, passengers, motorcyclists, bicyclists, and pedestrians are injured as the result of negligence, carelessness or recklessness of another, serious injuries occur. If you have suffered serious injuries caused by distracted driving, you are likely entitled to receive financial compensation for your damages, loss, and injuries. However, filing and proving a claim for monetary recompense can be complicated. 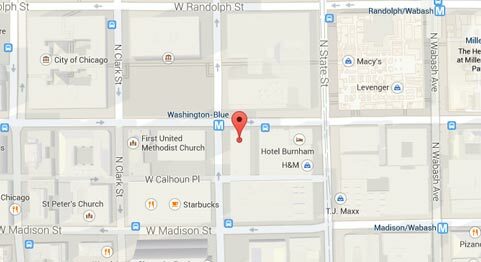 Because of that, it is essential to hire a reputable Springfield car accident lawyer to handle your case. A seasoned Illinois personal injury law firm can handle every aspect of the claim including investigating the accident, reconstructing the accident scene, gathering eyewitness testimony, deposing every party at fault and negotiating an out-of-court settlement or winning a jury award. Rosenfeld Injury Lawyers LLC provides a free case evaluation for determining the merits of your claim. Our Springfield car accident lawyers work tirelessly as your legal advocate to ensure you receive the compensation you deserve. We accept vehicle accident cases on contingency and are only paid for our legal services once your case has been successfully resolved. Call the Rosenfeld attorneys law office at (888) 424-5757 today to schedule your free initial consultation. 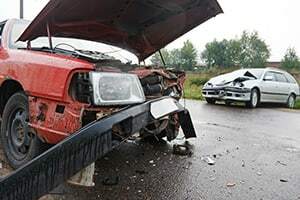 We will assess your Springfield car accident claim and provide various legal options to ensure your rights are protected while seeking compensation from every party at fault for your accident.